Welcome to Nicolas Vizerie website ! I am a C++ developer interested in games and computer graphics. There is now a new section available, where miscellanous tools and utility will be added. Please check it out here. 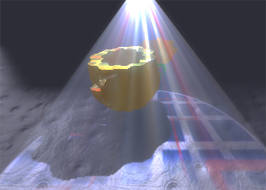 This sample demonstrates the "normal mapped radiosity" technique (also known as "directionnal lightmaps") presented by Valve Software for the Source engine. It is based on the following paper : "Half Life 2 / Source shading". I found it interesting, so I decided to try to code it. Here's my try at implementing what is presented in the article. 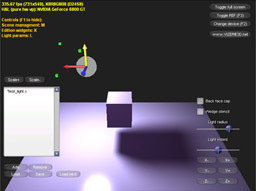 The sample introduce a slight variation : the lightmaps contain only "indirect lighting", instead of full lighting. 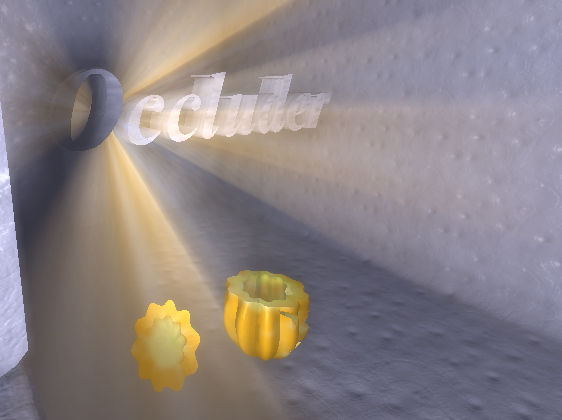 This allow to retain shadows and specular for each light, instead of using probes and cubemaps. To achieve this I used the baking system I developed earlier for lightmasks (per-light static shadows mask), and extended it to include this new, better ambient lighting. 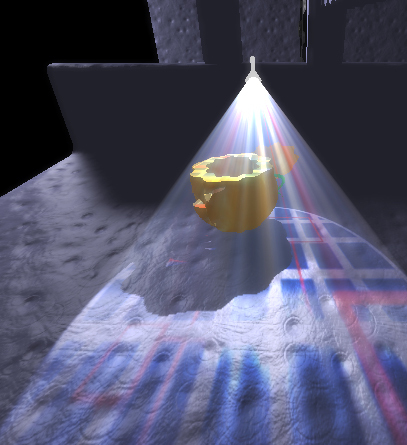 The result is of course, slower, because it is using multipass lighting rendering instead of a single pass shader (with modulated shadows), but because of the new ambient term, "fill-lights" are less necessary, so it is possible to have each surface hit by one light at most, and still have a good overall lighting, and thus single-pass rendering everywhere if necessary (there are some overlapping lights in the demo, so it is not a single pass render). The program allows to see how using "normal mapped indirect lighting" as the ambient component in a scene can enhance the realism of the rendering. 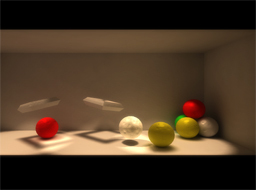 To demonstrate this, sliders allow to control the amount of ambient lighting on static geometry and dynamic geometry. For dynamic geometry I implemented radiance sampling on a regular grid, as described in the paper. Dynamic objects lookup the "light flow" at their center in this grid. 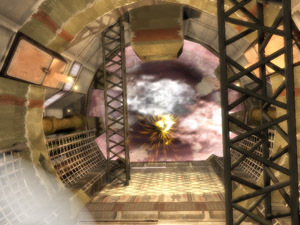 This is a project that was done during 2004 after having read the paper "soft shadow volumes using penumbra wedges", and its optimized version "An optimized Soft Shadow Volume algorithm with realtime performance". Having started this site only recently, it was the occasion to release it. It uses Direct3D as the rendering API. This sample only implements the case of a spherical light source. while the original papers used 2 visibility buffers (one additive and one subtractive), this sample improves the original algorithm by using a single v-buffer, and using subtractive blending to account for negative values. As a result some v-ram is saved, and some bandwidth is saved for the final compositing shader as well. Moreover, the texture containing object coordinates are computed in camera space, not in world. This results in increased accuracy for FP16 buffers, as coordinates are more likely to be in the same small, delimited range. Click here to download a demo of the thing! Source code of the demo is also available. 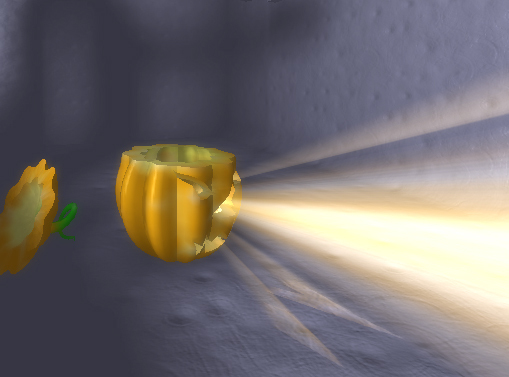 Deferred Shaded Penumbra Wedges : An innovative DX10 recent soft shadow algorithm by Victor Coda. Very interesting to those wishing to go further! 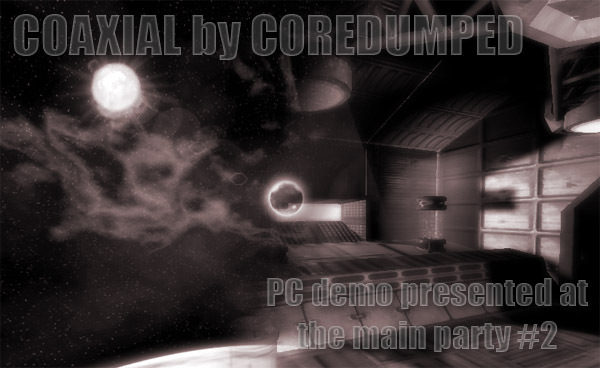 Here's the PC demo named 'coaxial' we presented at the main party #2, and ranked #2 ! 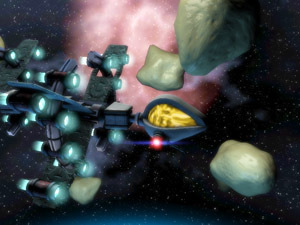 This demo was mostly a learning process, and aims to show nice sci-fi scenes. 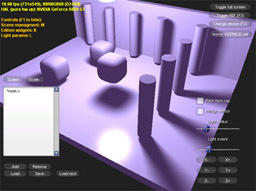 A Pixel shader 1.4 capable video card (ATI Radeon 8500 or more, GeForce FX or more). - The initial engine was using lua for material animation scripting, but this was causing annoying freezes from times to times (due to the lua garbage collector). 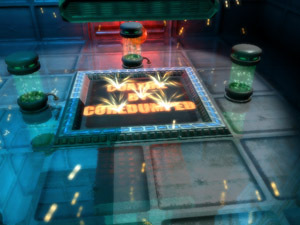 In this version all animated part of materials have been rewritten in C++, so the framerate is more steady. If you'd like to interactively fly through some scenes of the demo, some of them are included here! An article in the german website '4sceners' has been published.